My initial intention for this was to do my top 14 of 2014, but when I was taking the pictures and writing down my choices I couldn't kick one out, because they're all amazing products, and whilst I feel I'm a bit late to the 2014 favourites I still want to do one. Exam revision is slightly taking over my life but I've been thinking and planning this post for a few weeks now. 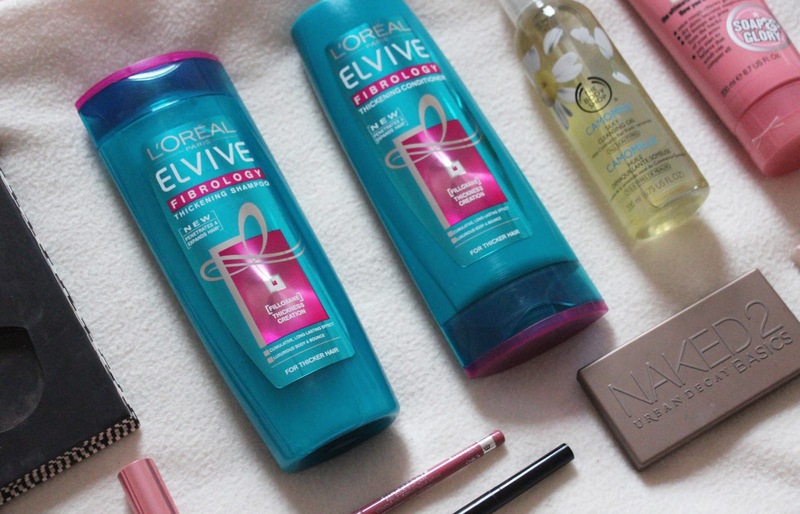 Instead of doing top products I've decided to do my top discoveries, because I don't think I could whittle down my top products in to a select number and I wouldn't have a favourite for every category. Some of these products are new to the market this year and some are just new to me, but hopefully you'll find something you'll want to try this year! 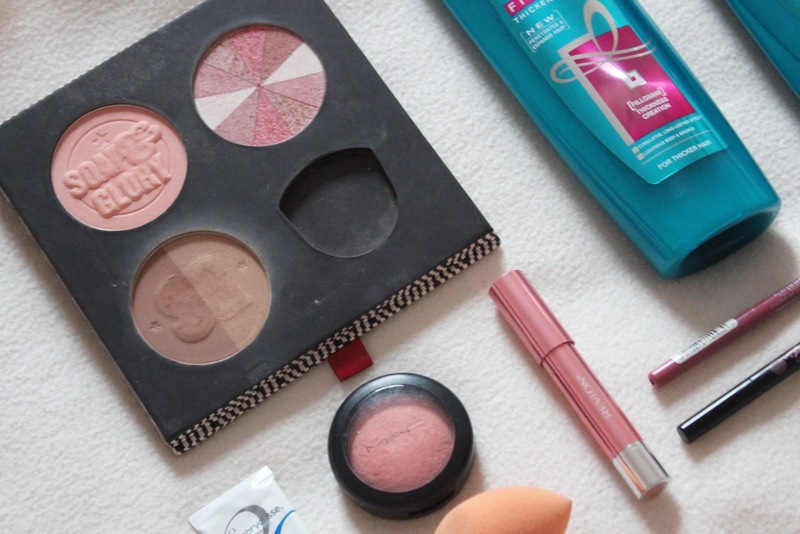 Probably my number one find is Soap and Glory's Solar Powder Bronzer. I received this last year in this powder trio palette for Christmas, I initially asked for this because I wanted to try the blusher and highlighter but the bronzer has totally been the winner. I'm really pale so have always found bronzer a bit scary, but I have found this to be the perfect shade for me. I swirl the two shades together taking more from the pale side and apply it in 3 shape on each side of my face, making it a slight contour and slight bronzer. It warms the face up and gives the cheeks a nice definition which isn't too harsh. 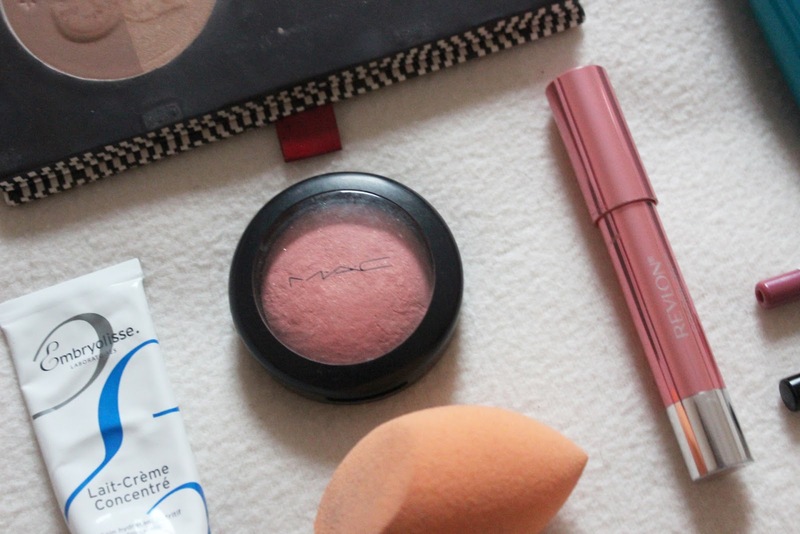 My next favourite is the MAC Mineralize Blush in Dainty. I bought this in the summer from a blog sale and it quickly became my go-to blush. It's a pink shade with a peach undertone and golden shimmery glitter running through it, so it adds a perfect highlight to the face. I find it's the blush I reach for when I'm in a rush, if I'm not sure what blush to wear or if I want my face to look glowing, because it works for all three scenarios. I then have two eyeshadows, the first is the Urban Decay Naked Basics 2, which I've done a review of here, so I won't say too much. But it's become my palette of choice these past couple of months, it works great for if I need a crease colour or if I want a brown smokey eye. The second is the No7 Stay Perfect Eyeshadow Duo in Iridescent Purple, I've also done a review of this here, so again I won't say too much. It's just become my favourite budget eyeshadow and is the colours are gorgeous for if you don't want to just use the same neutrals again, especially great in the winter. I also have two lip products which I have loved from around the summer time. The first is the Rimmel Exaggerate Lip Liner in East End Snob, I found this when I was looking for a matte neutral pink that I could wear everyday but wasn't too barbie pink. It's since become quite famous with bloggers so you may have heard quite a lot about it recently. The formulation is long lasting, creamy and comfortable on the lips. The colour is perfect for all seasons and it's probably my most used lip product this year, I've nearly finished it which is saying something! The second is a product I usually pair with the lip liner, but they both look amazing on their own. It is the Revlon Colorburst Lacquer Balm in Demure, it's a gorgeous pink balm with glitter going through it. I pretty much always have this on me because it suits all looks and is so easy to apply without a mirror, it adds a gorgeous glossy sheen to the lips and perks the whole face up. Again a great product for all seasons! Another Soap and Glory favourite is the Archery Brow Tint and Pencil which I picked up around May time. Another favourite, which doesn't count in the top 15, but is alongside this is getting my eyebrows done at Benefit, it's only £18.50 and you get the brow arch and tint, so since I've been having that I find filling in my eyebrows is really quick and easy now. On an everyday basis I use the felt tip end and if I want them to be a bit bolder I'll then go in with the pencil wax end. I find the felt tip usually lasts around 4 months before I have to buy another one, but for £10.00 it's a great product and no longer makes eyebrows a chore. Finally for makeup is the Maybelline Fit Me Concealer which I picked up when I was wanting a change from the Collection concealer. 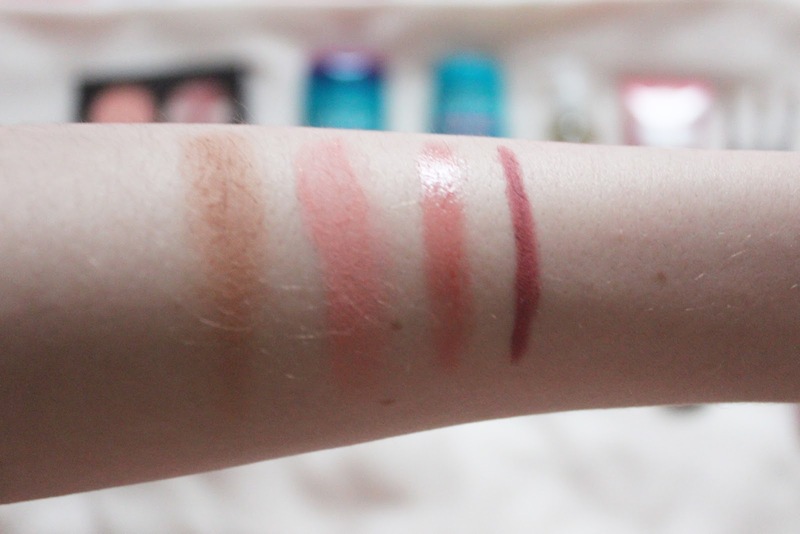 The shade range is pretty rubbish and the colour I have looks too dark on me when first applied but changes colour when I start blending it in to the skin. But it's a great concealer for under the eyes and on small blemishes, it won't cover huge spots, but it's a nice lightweight formula that I loved under the eyes. It doesn't crease, lasts all day and adds a slight brightening effect under the eyes. 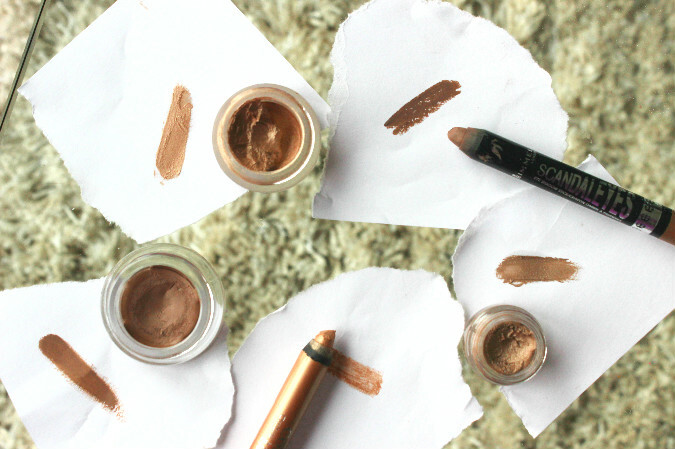 It's defiantly one to try if you're bored of the Collection concealer, or if your Boots is constantly sold out. 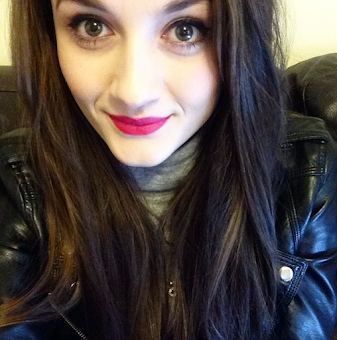 Next I actually have a hair favourite which is surprising for me. I have ridiculously long hair but have no interest in styling it, I use a texturising spray just to help lift it a bit but that's about it and I've never been faithful to any products. Then came the L'Oreal Elvive Fibrology Shampoo and Conditioner, I'm counting these as one because my opinion is the same for both of them. I picked these up when I just needed some new shampoo and there was an offer on, so I bought these and the hair mask. The hair mask is nice and also something I would recommend, but the shampoo and conditioner clean my hair so well, leave it feeling super soft and silky and give it some natural volume - which I think is what the thickening part means. I love these and I've already repurchased a few bottles of each, I can see myself being faithful for a long time. Another Soap and Glory product - they've become probably my favourite brand this year - is their Scrub Of Your Life Exfoliator, which again I've done a review of. I've gone through a few bottles of this now and still love it, it gently exfoliates the skin but helps to nourish and clean them at the same time. You can read my review here. For skincare I'm still quite lazy, which is strange because I actually have quite good skin. However, I have discovered some great products this year that I've loved and think will work with everyone. First is The Body Shop Camomile Silky Cleansing Oil which I use as a pre-cleanse to remove all of my makeup. I started using this product around the start of September and have probably used it on 90% of the days since, it's amazing! It breaks down all of my makeup with a couple of pumps of the oil and leaves my skin clean and ready to be fully cleansed. If I'm tired I will just use this to remove makeup, and whilst I wouldn't do it every night I find my face is still left feeling clean. The second skincare item is the Embroylisse Lait-Creme Concentre, a product I had heard a lot about from makeup artists over the years but didn't actually try until around October this year. After a bad experience with a La Roche Posay moisturiser, that just left my skin itchy and with weird bumps I tried an Olay one, it was okay but still my face felt itchy. This has worked amazing, it doesn't promise to transform the skin or have any special properties, but it just does what I need it to do. It preps the skin for makeup by leaving a smooth, soft and even finish to my skin. If I have any dry patches it smooths them over and makes them almost invisible. Although it's a pretty basic moisturiser I feel it's just what I need, I have normal skin that doesn't breakout, is only slightly dehydrated and just needs some moisture, and this is the perfect product for that. Another cult classic I've loved is the Elizabeth Arden 8 Hour Cream. I was actually lucky to get the product in a set with the lip balm for about £12.00, which is amazing considering the product itself is normally £26.00. I have just been loving this for several uses, first and mainly as a lip balm, I apply it all through out the day and it adds a gorgeous gloss to the lips at the same time as nourishing them and making them feel soft and moisturised. I've also been applying it to any dry patches on my body or on my face to moisturise those areas and it works great for that as well. I know the smell is a problem for some people but I actually quite like it, it's not strong but it's a nice clean but slightly weird smell. This year I feel I have got more in to eyeshadow, I pretty much wear at least two eyeshadows on a daily basis and use between two - three brushes to apply them. I've not yet bought any expensive brushes, but since discovering this eBay brushes I haven't felt the need. I have the 222, 217, 239 and 224, okay they copy MAC numbers and look a lot like MAC brushes, and although I haven't tried any from MAC I imagine they're a similar quality. My favourites have been the 222 and the 217 as I find they can both blend out eyeshadow, apply shadow to the lid and apply shadow in to the crease. I have been using them for seven months and have noticed they have become softer with every wash and I'm yet to see a hair be shed. If you're looking for eye brushes these would be my first recommendation. My final favourite is the Real Techniques Miracle Complexion Sponge, a review of which can be found here. This has become a life changer in terms of foundation as it makes application so much quicker and flawless. It has made my foundation last longer, feel nicer on the skin and appear a lot more dewy than I would get with a brush. However, the sponge does sheer foundation out slightly, so if I am going for a heavy coverage this isn't one I would reach for. I've decided to break this post down in to sub-headings so it's easier to read if you're just interested in select products. 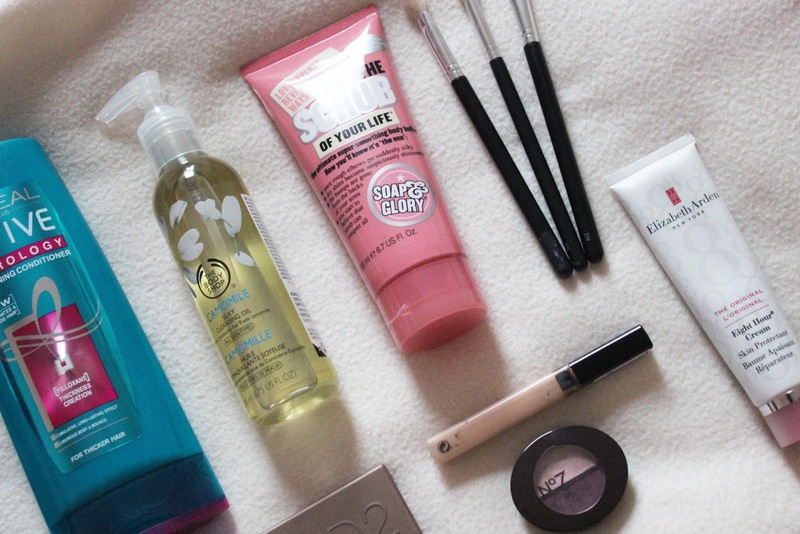 Unlike a lot of people I feel like 2014 hasn't really gone that fast, I'm almost shocked that I only discovered some of these products this year because it feels like I've been using them a lifetime. What products have been your favourite discoveries this year? Does Wearing Makeup Make You A Liar?